Located on the north-eastern coast of Crete, five miles from Agios Nikolas is the resort of Elounda which boasts some of Greece’s most luxurious hotels. Overlooking the bay of Mirabello with cultural site nearby, a harbour offering shops, tavernas and of course a collection of beaches, it is a fantastic place for a luxury holiday. Below is a mini-guide with the best places to visit on a luxury holiday in Elounda and the best places to stay on your luxury Crete holiday. 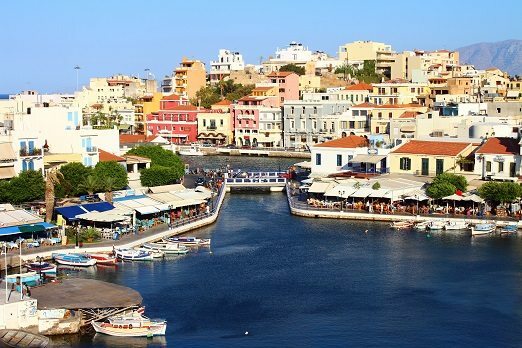 The colourful harbour is lined with tavernas and is located next to the main square which offers additional shops, cafes and bars. The harbour is also home to a sandy beach which looks out across the bay over to the island of Spinalonga. With an abundance of services nearby it is a great spot to relax on the beach, soak up some sun and enjoy traditional Cretan food and hospitality. The town of Agios Nikolaos is but a short drive from Elounda and is one of Crete’s most popular seaside resorts. There is an abundance of tavernas to dine in and sample traditional Cretan villages, historical sites to visit and of course beaches too should you wish to explore further than Elounda. Spend a lazy afternoon on the terrace of a taverna overlooking Lake Voulismeni or catch one of the artistic acts performing at the open-air theatre. 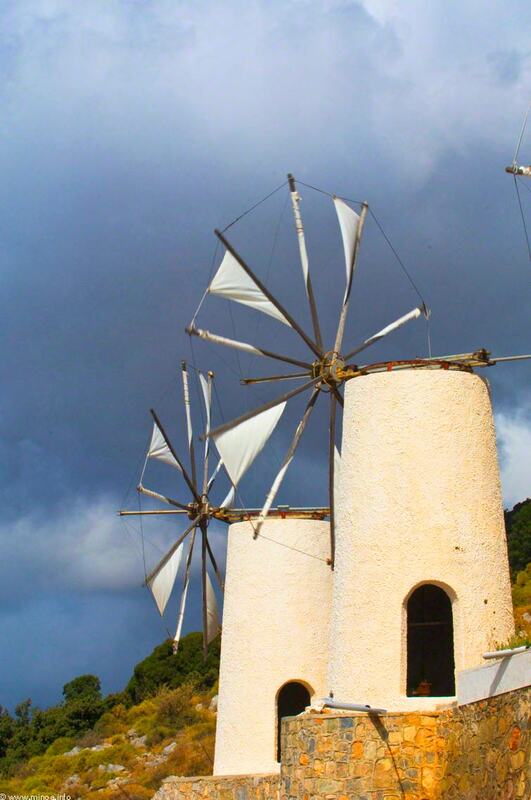 The fertile land of the Lasithi plateau is surrounded by high mountains and is a wonderful place to discover Greek agricultural traditions with dotting’s of white-sailed windmills which were once used as wind pumps to irrigate the land for two centuries. From here you can head to the mythical Diktaean Cave near the village of Psychro where is believed to be the birthplace of Zeus! The Lasithi area is around 40 minutes by car from Elounda. 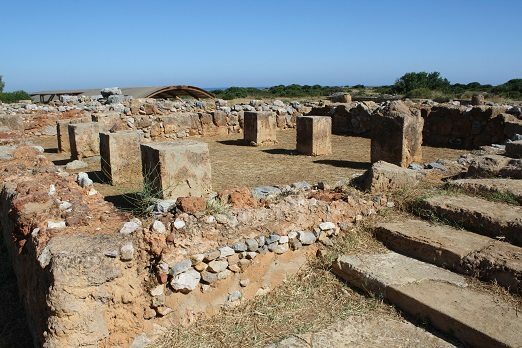 Around an hour’s drive from Elounda is the Minoan Palace of Malia, an archaeological site that dates back to around 1900 BC. Since the early 20th century excavations have revealed many of the finds that can now be seen in the on-site museum. This ancient palace boasts two floors and you will find royal quarters, workshops, loggia, theatre and in the north western court there is the crypt and council chamber. For those with an interest in Classical history, this is a must visit on your luxury holiday to Crete. 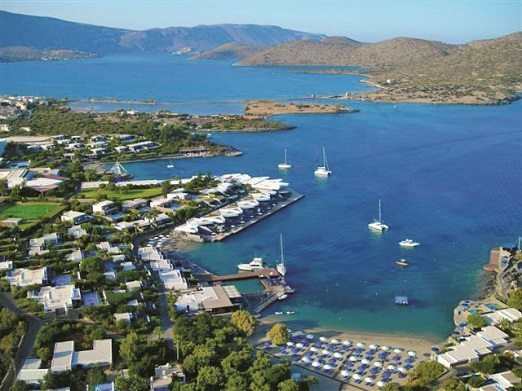 The five-star Elounda Bay Palace is a member of The Leading Hotels of the World and is ideal for those looking for exclusivity, luxury within close proximity to the lively harbour. Set beside a white sandy beach you can enjoy the crystal clear waters of the Mediterranean Sea, or if you would prefer relax in the outdoor seawater swimming pool. On the beach the watersports centre offers a range of activities including scuba diving, water-skiing, jet skis, windsurfing, sailing and fishing. For those wishing to stay on land there are tennis courts, gardens to wander through and of course the superb spa. 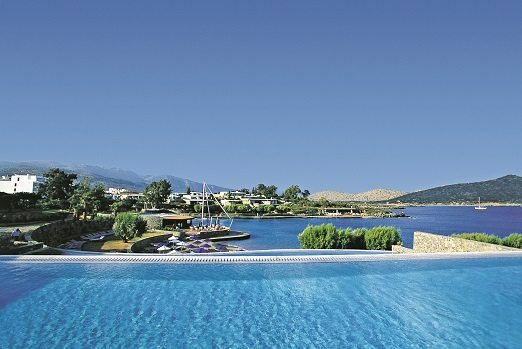 The five-star Elounda Beach Hotel & Villas is a fantastic base for those looking to explore the surrounding area – that is if you can prise yourself away from this outstanding hotel. The hotels boasts a wealth of amenities for its guests to enjoy including secluded, white sandy beaches, vast gardens to wander through, open-air amphitheatre, Cretan Museum of Popular Art as well as on-land sports facilities and a range of watersports. 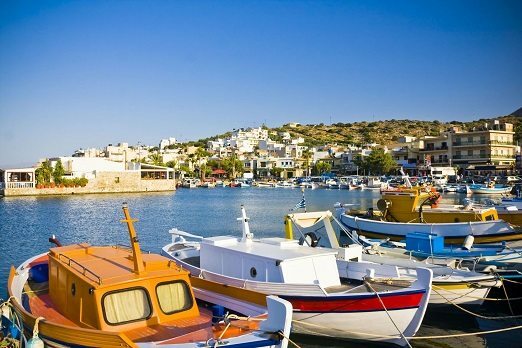 Crete is a truly wonderful place to visit on a luxury holiday, for all types of holidaymaker, whether you are looking for relaxation, discover Greek history or culture and Elounda is the perfect base whether you wish to explore the eastern part of the island or simply soak up the sun. For more hisotircal sites and just a short drive & water taxi from Elounda is the infamous island of Spinalonga. You can also visit our post for the best things to do in Crete.